How does all of that hair fit in her helmet anyway? I bet you were jumping from joy when this skin came out. Provided you with more opportunities to draw her. And damn what a nice fanart in came out to be. You're certainly not far off! 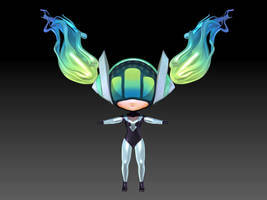 I was pretty much losing interest in the game when the first actual previews of the skin happened (DJ Sona was known to "be a thing" before, and I didn't find the idea appealing, thinking of a totally different look and feel). Of course I'm not far off, I know how much you love Sona. This skin caught me totally by surprise. 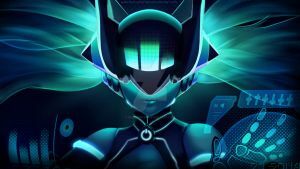 I have thought about how Sona would look like with a more futuristic skin, but didn't hear anything about it until it actually happened. Six out of nine, is not bad at all. Would be great if I was motivated enough to draw that many per game/anime/etc. 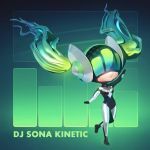 Yeah, I didn't expect a "DJ Sona" to go this route at all, much more appealing than some of the concepts I saw or what I imagined it might end up being. Please teach me, you are really good .w. Thank you for saying that, but I'm not sure I could teach anyone. I have two tutorials up, but I don't know if there are other topics I could make tutorials about! Still wondering about that too. 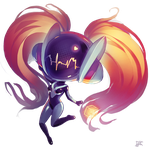 Btw, it was a nice art of Sona. Hope too see more fanart of her, especially the classic one. I don't know, I already have a ton of art of her. Not sure how inspired to draw her I still feel, but I might! permission to use it?please/// ill give credits to the original owner..
What do you want to use it for? As long as you credit with a link and it's non-commercial it should be okay though! Could you do a concussive portrait? I might make one so I have a helmetless portrait of all forms, depending on how I feel. Shes beautiful, can you make more of these ? I still want to make a helmetless Kinetic themed one! saw it on league site also....great work!! I do, but I'm not sure if I really want to upload that. What kind of resolution does your phone need? I like Sona's face on the (old, I don't like the new one) Classic Splash so much that I'm pretty sure I've drawn her more than anything else. That's why I also wanted to try portraying the DJ Skin like this! Do you think you'll accept to try another comission later ? *w* amazing and beautiful job! really good work! 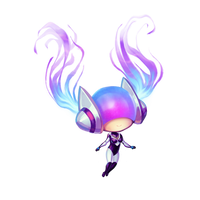 Playing her on the PBE is a real blast. Thank you! She should be getting released soon I guess! I love the colors! Nice work!